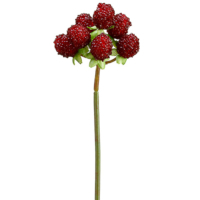 Realistic artificial raspberry available here to buy online. We offer the wide collection of raspberries with the realistic looking plastic material. Amazing Produce knows the perfect color combination of raspberry that give our artificial raspberries the realistic look. These are made with the high-quality material and very durable. Perfect to use for any display or decorating purpose. 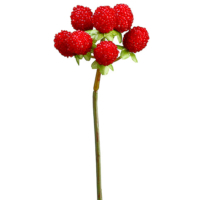 Our fake raspberries are ideal for indoor or outdoor decorations. You can use them with the artificial strawberry to add an exclusive touch in your decors. We are sure this is going to be perfect fruit to use for a variety of applications.